Very useful tips Qasim bro. Every newbie should keep them in mind for getting better outcomes. very nice tips for those who want to just establish their Business,, I'm also missing Mustafa bro at MBT.. Very good and useful tips as always.. I think its important for bloggers to think about these points. Nice post as always , Zaib , you know how to write interesting articles, that is what i'm lack in.. Thanks a Lot For these Tips..
now i have learned a Lot..
Will surely Avoid These Mistakes.!! Nice article. Useful for small business. I agree with you but one must know that these things takes times to show results most of the firms dont have patience and they think that they are wasting money. As many commenters have already stated, this is an insightful post. Too often, I see people who ignore Analytics. They become so jazzed by starting campaigns that they forget to measure them, so they can manage its success. I also agree that sometimes you need to seek help whether it be from an internet marketing company or from a consultant of sorts. Thanks for sharing. I did the right thing of getting help from professional internet marketers when I started my own business. I'm grateful my online business is going well. 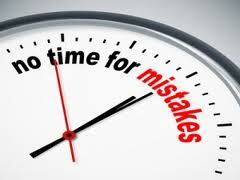 it’s almost inevitable to make mistakes when you are starting a business for the first time.. I would like to suggest to people that are in the beginning of the process to open a website to their business using an online website builder. I used http://www.exai.com for example and I discovers that I can get a good website for affordable cost. Good information I found here really unique thing. Very nice tutorial this tutorial is best for those beginners who just start making money online. Exciting blog post! I really enjoyed reading this content. It is very much useful and informative. Thanks for sharing this useful blog.